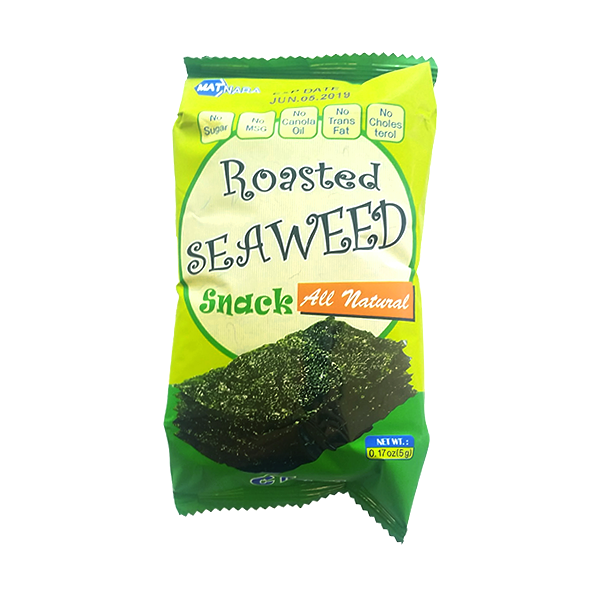 Crunchy, flaky, and salty seaweed sheets. 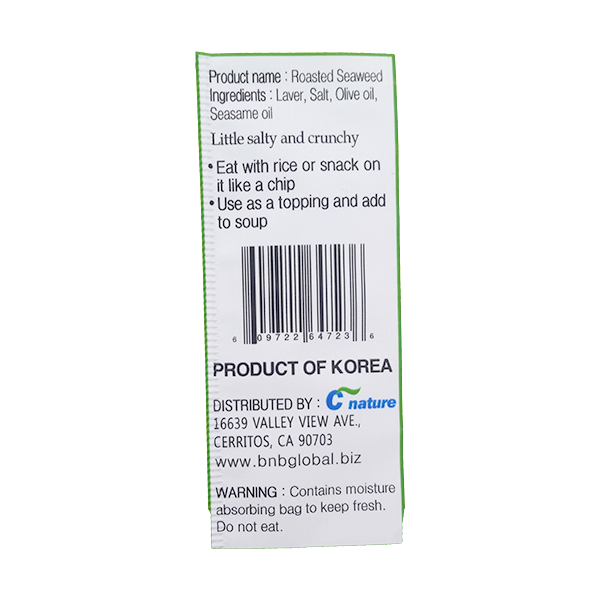 The smidgen of salt and the nuttiness of sesame oil perfectly satisfy your savory cravings. 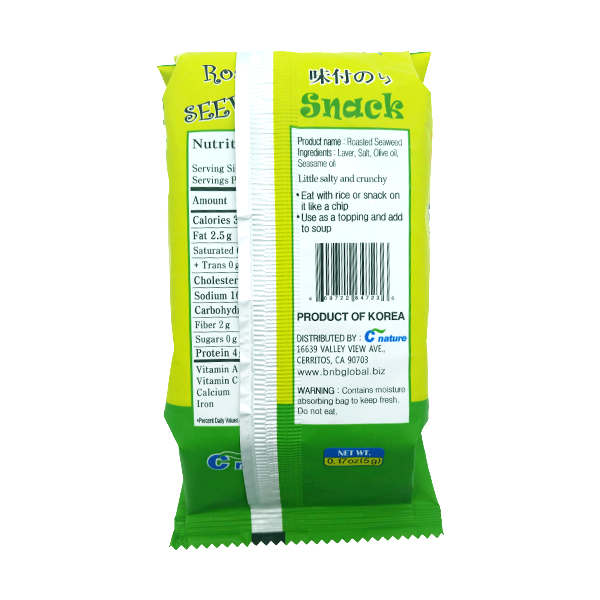 This product contains no sugar, no msg, no canola oil, no trans fat, no cholesterol & only has 4 ingredients so you can snack on these without guilt. 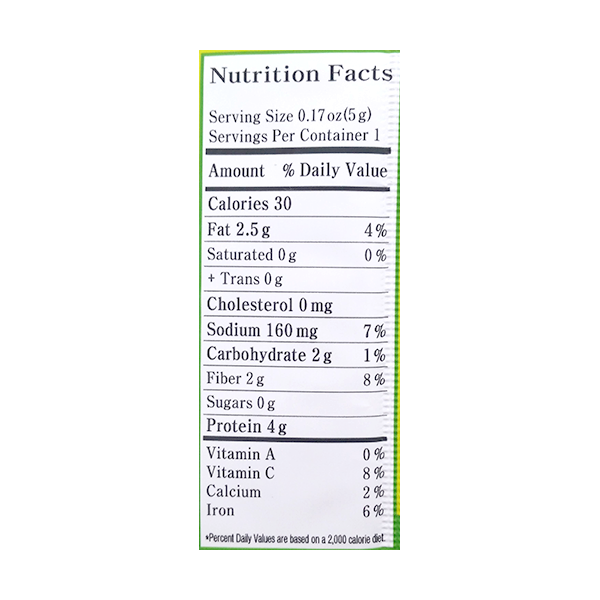 Product size: 3 x 0.17 oz. Product of Japan.